In order to keep pace with never ending demands of the customers, our company is instrumental in presenting excellent quality assortment of Alloy Steel Ingot. - Used in industries for making different types of parts. 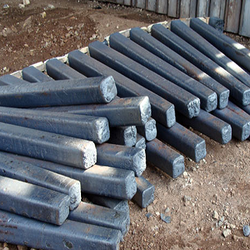 Our organization deals in best quality of Alloy Steel Ingot and we offer them to our clients. These ingots are made by our skilled manpower using tested quality material. 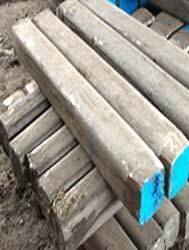 Available in a wide range of sizes, these steel ingots can be customized in different specifications. We also manufacture and supply spring steel flats, boron steel flats and flats of other differerent grades and in different sizes as per customer's requirment.